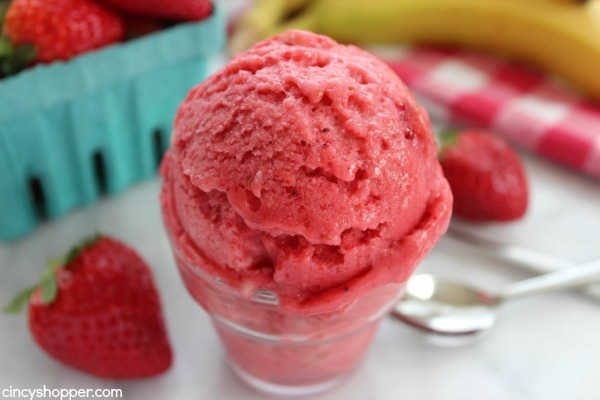 With just 3 ingredients you can make this super Easy Strawberry Banana Ice Cream. No Ice Cream maker is needed for this cold treat. My entire family loves ice cream. I can not keep enough in the freezer to feed this gang. 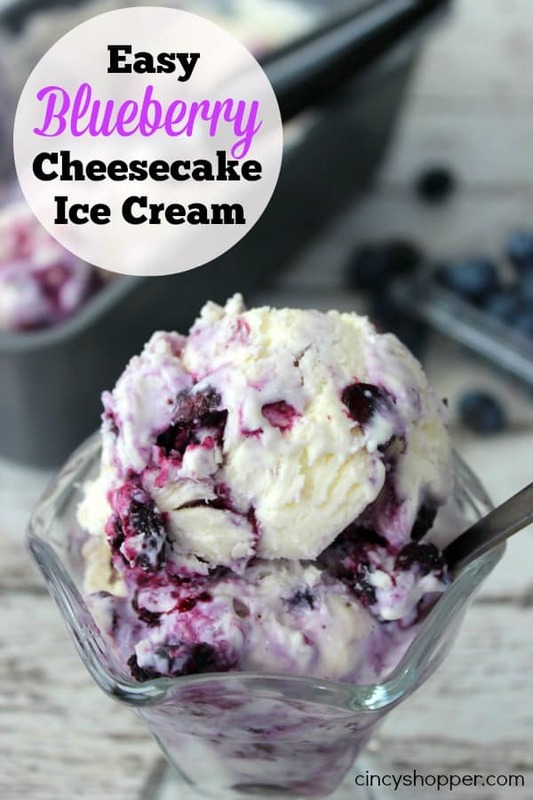 We will usually whip up a simple cream based ice cream like our Mint Chocolate Chip Ice Cream or Blueberry Cheesecake Ice Cream that I have shared with you. They are simple recipes to whip up with no churning involved. 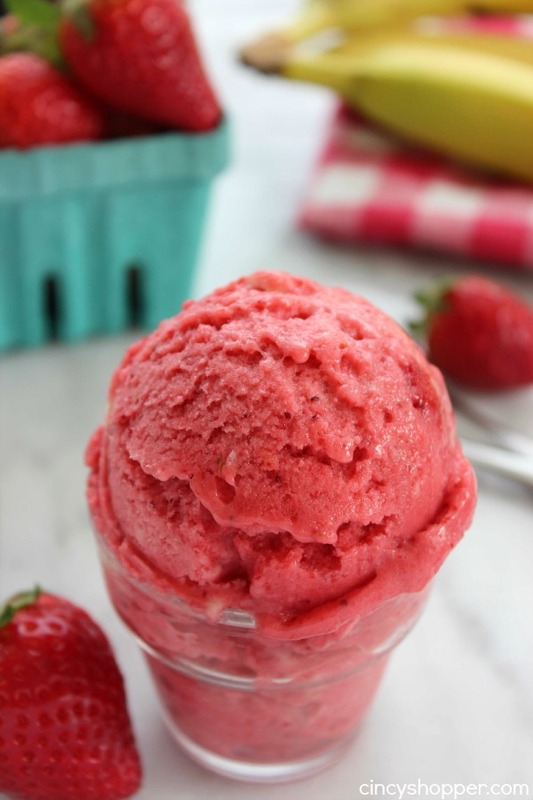 This Strawberry Banana Ice Cream is even more simple with less ingredients and less work. This recipe has become a new favorite in our house because the teens just whip up a batch all by themselves. 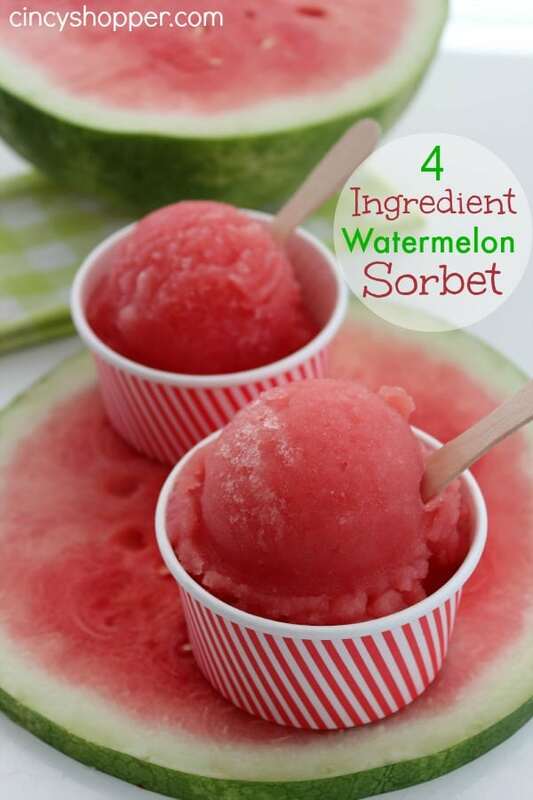 With summer just around the corner, I am super stoked that they can just make themselves a batch to enjoy on a hot summer day. 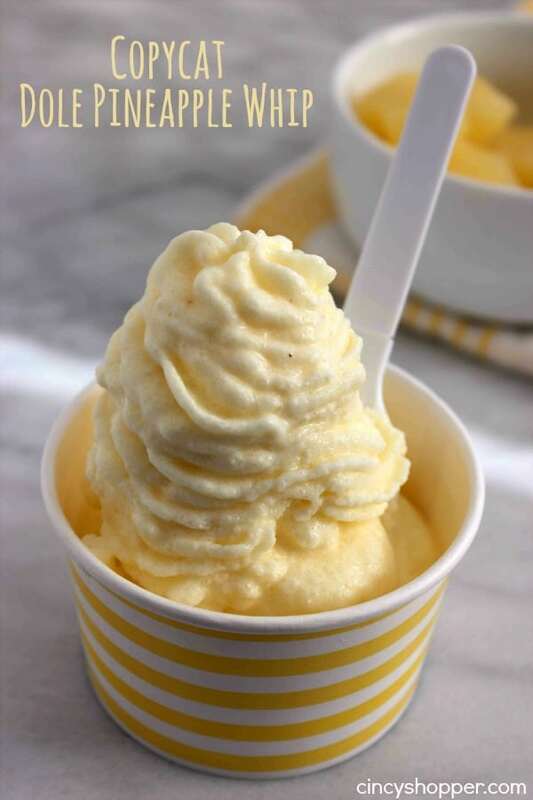 Since the recipe for this ice cream only requires three ingredients, it comes together very quickly. The ingredients needed for your easy strawberry banana ice cream are so simple. 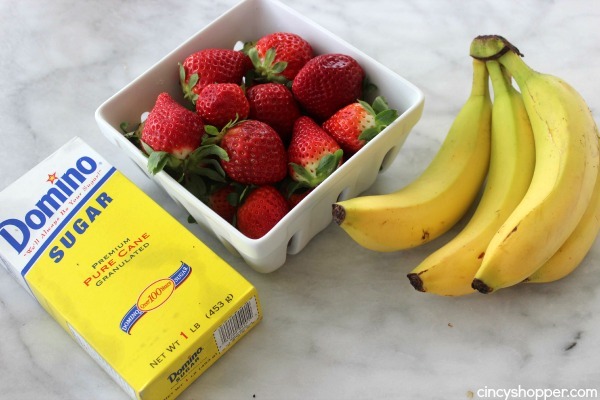 You will just need strawberries, bananas and sugar or honey. I really like that this recipe includes fresh fruits. 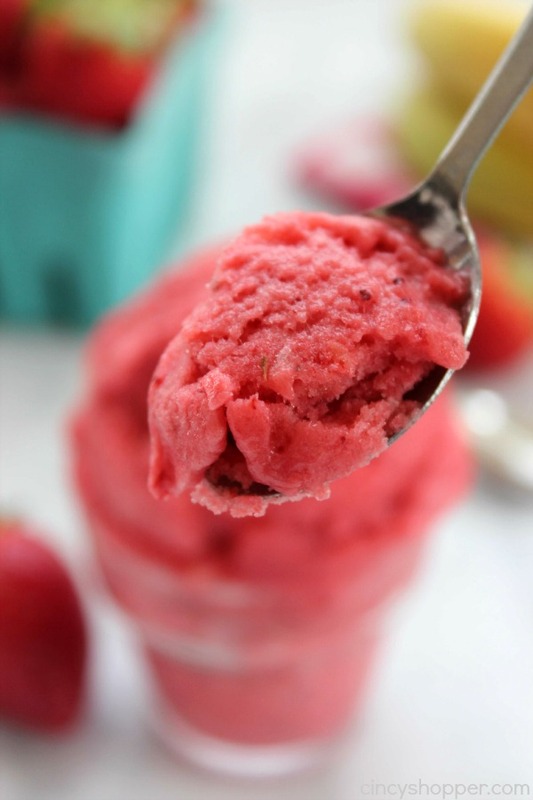 Ice cream is a great way to sneak fresh fruits into the kiddos diets. My little guy, Jonathan, refuses fruits and vegetables or anything sweet. Last week when we whipped up this recipe, he decided he really likes ice cream. It is difficult to find much that this kiddo will eat so this ice cream recipe is a keeper. The hubby and I whipped up a small batch to enjoy after dinner last week and I liked that the ice cream has an abundance of flavor. The flavor is not overwhelming but it will get your taste buds going. 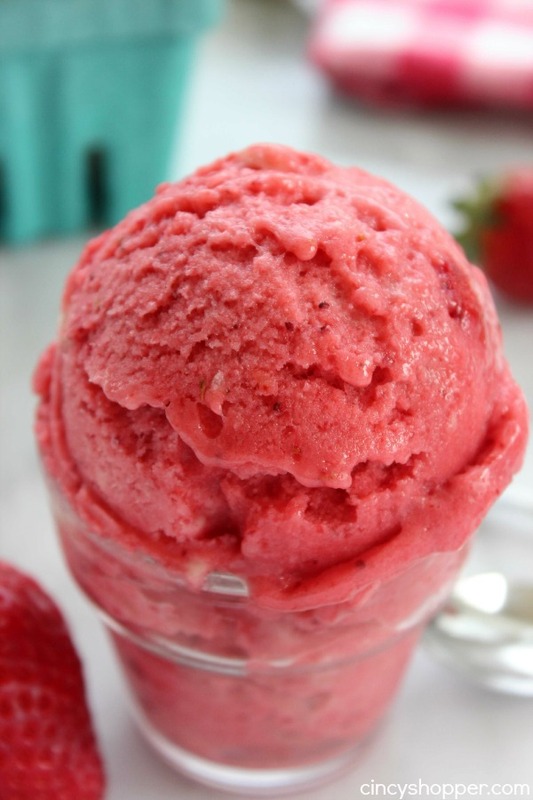 Since strawberry ice cream is one of my favorite cold treats, I knew this recipe had some potential for being a favorite. What’s your favorite ice cream? 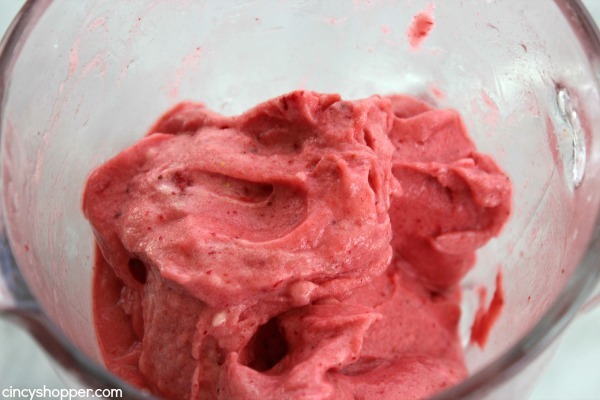 Do you make homemade ice creams? This is so perfect for us! We’ve been going strawberry picking and I always freeze the leftover strawberries. Can’t wait to try this out. This looks AMAZING! My doctor put me on this diet and I basically can’t eat anything that I love but I think I can actually eat this! I can’t wait to give it a try! I love these flavors!! Definitely going to have to try this one :) I’m in Cincinnati too! So easy! 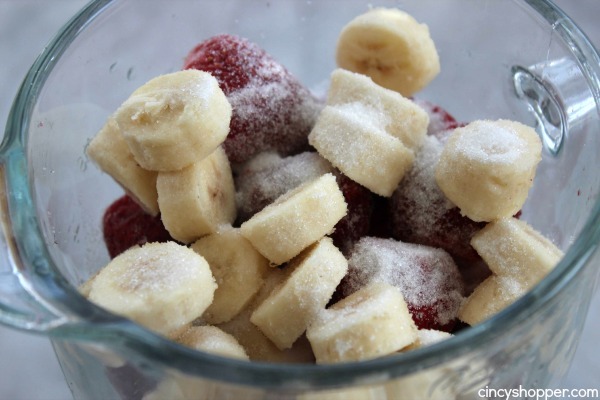 I love that there is such a small amount of sugar in this recipe — I bet the banana adds a lot of the natural sweetness. Thanks for sharing this recipe at the Inspire Me Mondays Link-Up. It’s great to see you again! Yum! I love easy recipes like this. This will be perfect when the summer heat hits SoCal. Thanks for sharing on Merry Monday. Pinned. 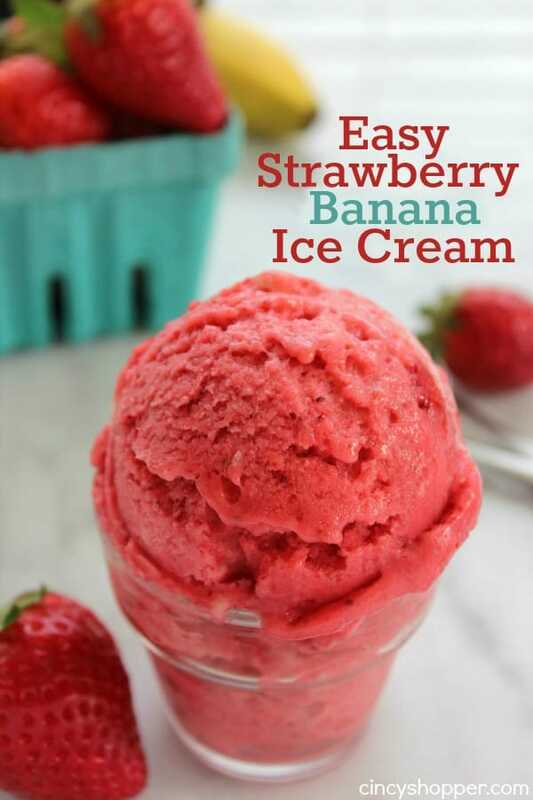 My kiddo will be old enough to experience solids this summer and this recipe is a good place to start with ice cream to beat the heat. Yay! Thanks so much for sharing this recipe with us at Idea Box link party!! I’ve featured it on my blog today. Hope you’re planning on joining us again this week!! Hello. This looks sooo good. I was wondering if strawberry or another fruit could be used instead? Please let me know. Thank you.